Trinity Mirror have finally relaunched the first of their local newspaper websites, with the Liverpool Post and Liverpool Echo breaking free of that ‘icLiverpool’ brand and into individually branded sites that reflect their different markets. It’s been a move the ‘ic’ sites have needed for a long time, and the contrast is considerable. The endless list of vertical navigation options has gone, replaced by a much clearer horizontal bar and the generally ‘bigger canvas’ look that most recent news website relaunches have adopted (larger images, fewer stories). It’s no surprise to see video getting a stronger placing, while image galleries have become par for the course, although these are given a separate section rather than integrated with stories. And reader involvement is given top billing with four ‘calls to action’ on the banner – “Send your stories/videos/pics” and “Join a forum” (the latter too vague. It would be more productive to see specific forums promoted instead, but maybe that will come in time). Web 2.0 is a keyword here, and the articles incorporate the facililty to ‘share’ via del.icio.us, Digg or Newsvine (with a helpful ‘What’s This?’ link for the majority of readers who’ll be thinking just that), along with reader comments, prominent RSS feed links and a fantastically comprehensive RSS service generally (well illustrated on the sitemap page). Blogs are part of the package, and there’s some nice writing there, although someone ought to tell the columnists bloggers about the importance of linking (a music blog that doesn’t link to any band websites/MySpace accounts is pretty criminal – UPDATE Mar 3 ’08: now no longer the case: see comments below), and it would be nice to see more engagement with the blogosphere generally – surely there are some excellent bloggers in Liverpool not on the Trinity Mirror payroll? The ranking system is a nice idea that hasn’t been thought through enough: as an article’s ranking is only displayed on the article itself it’s not clear how this is useful for readers who have already made the effort to get there. There is a “Most popular” box on the homepage, for instance, but no sign of any place where you can find the “Highest ranked”; it might also be useful for readers to choose only to see stories above a particular rating, as Slashdot does. And one final weakness is a registration system that doesn’t explain why you should register (elsewhere the call to receive email updates does the job better). These picky issues aside, the redesign is a massive improvement and much more pleasurable to browse. Aesthetically it beats competitors such as the Lancashire Evening Post and Hull Daily Mail hands-down. Although those newspapers seem to have better grasped the possibilities of new media editorially, this relaunch suggests Trinity Mirror understand the technical possibilities. Most impressive is a tagging system which allows users to click through to articles on the same subject/person – potentially making the accompanying ‘Related articles’ box redundant. Journalism.co.uk reports that the next websites to get the facelift will be the Journal and the Evening Chronicle in Newcastle, and the Middlesbrough-based Evening Gazette “to be followed by titles in South and North Wales, Yorkshire and Scotland.” Will these follow the template, or will there be more editorial freedom? The Post and Echo seem to be based on the same template, so I’m betting on the former, but there is enough freedom here to at least give the papers more identity than ‘icLiverpool’ ever did. This entry was posted in newspapers, online journalism, user generated content and tagged citizen journalism, comments, forums, galleries, local newspapers, online video, RSS, Trinity Mirror, web 2.0, website relaunch on June 27, 2007 by Paul Bradshaw. “Jim” at CNN.com has invited me to look at the beta version of the new CNN.com (screengrab top; current design below) for the Online Journalism Blog. He knows how to make a man feel special. So of course I oblige, and the site? Well, I’m somewhat underwhelmed. In a year of relaunches, CNN’s effort lacks the ‘big canvas’ approach that seems to becoming the norm (larger images, larger text), and looks ‘small’ as a result. The redesign reminds me of that old cliche: ‘more evolution than revolution’, i.e. ‘we bottled it’. So, a missed opportunity visually. But where they’ve done much better is under the hood, and in philosophy. Firstly, the decision to release a ‘beta’ version of the site to some users represents a change in the way these things have been traditionally done. So credit for joining the world of the ‘perpetual beta‘. Secondly, video is a stronger element, including a “move to an in-page flash video player and in-page video across our various storytelling pages“, while the primacy of text is challenged by “the idea that, online, all media types are created equal – text, video, photos, graphics and audio“. Er, and interactivity? “The design itself was done in mind to make videos more searchable and discoverable by external search engines (Google, Yahoo, etc). Because the videos are no longer in a popup, users can link directly to individually videos and find them either from search engines or other partner links. 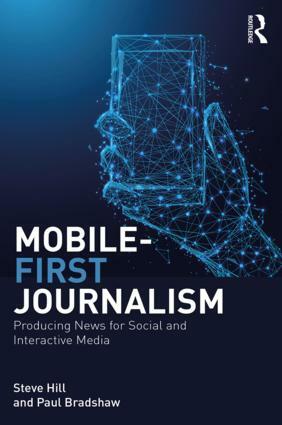 Those points aside, there are lots of little touches which are interesting signs of how news is changing: more prominence given to the Citizen Journalism arm (‘iReport’), more visible RSS feeds, blogs and podcasts, and, er, weather personalisation. I particularly like the subtle ‘Hot Topics’ line just under the navigation, too. Of course, the great thing about a beta is: it’s work in progress. And the Behind The Scenes blog is wonderfully open about the changes they’ve already made in response to feedback. If you pop to http://beta.cnn.com/ you can add your own ideas to those already suggested. PS: If you want the full CNN presentation, here it is. “One of my favorite new features of the site is the video page itself. It breaks the video content down into different tabs like “Top Stories,” “Most Popular,” “By Category,” “Staff Picks,” “Live TV,” etc. But they aren’t separate pages. Using the power of Ajax, CNN.com doesn’t have to reload new pages each time you click on one of those tabs. This entry was posted in online journalism, television, user generated content and tagged citizen journalism, online video, RSS, web 2.0, website relaunch on June 20, 2007 by Paul Bradshaw. Two similar stories are enough to make a ‘trend’ in journalese, so here’s one worrying trend in recent weeks to keep your eye on: complaints about bloggers being made to their employers. On June 9 Ben Goldacre wrote in his Bad Science column/blog about one of the most eminent scientists in the UK, Professor David Colquhoun, being forced to remove his quackbusting blog from the UCL servers after “complaints from disgruntled alternative therapists”. Then, last week, my colleague Andrew Dubber, who writes a popular blog about the music industry – New Music Strategies – was similarly threatened by Paul Birch of Revolver Records. Dubber’s crime was not writing anything offensive to Birch, but simply linking to an article which Birch felt promoted “hatred of the recording Industry”. Now I am aware that promoting race hate is a crime, but hatred of the recording industry? Apparently that warrants a lawsuit. “you are interwoven into the views and policy of the University of Central England and I think that puts you in an exposed positon Andrew. “The way I see it is this: what I’m linking to is opinion about a news story. It’s genuine news and it’s legitimate opinion. You may not agree, but I don’t see anything there that warrants a take-down notice. “I would never endorse hate speech or the encouragement of the victimisation of any individual no matter what their job. That link doesn’t even come close to either of those things. Because of this threat the post got a mention on uber-blog Boing Boing and the resultant hits crashed Dubber’s site. The post also starting creeping towards the first page on Digg. Richard Esguerra from the Electronic Frontier Foundation wrote with a useful list of links including a Legal Guide for Bloggers, Overview of Legal Liability Issues, Online Defamation Law, Privacy, and How to Blog Safely (About Work or Anything Else). He also recommended the Chilling Effects Clearinghouse website, an “online informational resource that addresses Internet law issues”. In the UK, where laws are different, Dubber himself recommended Internet Freedom. This entry was posted in online journalism and tagged law on June 19, 2007 by Paul Bradshaw. Are we too hung up on non-linear storytelling? With some basic information absent, it’s difficult to answer that question. How old were the subjects? How web-savvy? There’s another point: the linear options were more visible than the non-linear ones. How would they respond to other designs? Isn’t the ‘slideshow’ medium itself linear, compared to, say, a video gallery? That aside, this is much-needed research in an area we could do with exploring further. This entry was posted in online journalism and tagged interactivity on June 15, 2007 by Paul Bradshaw. As the 2006/07 academic year draws to an end, the journalism students at UCE Birmingham have to show off their work at a final year exhibition of all media students’ work. How do you ‘exhibit’ journalism? That’s the challenge. This year we’ve had three projects involving online journalism: the first was a news magazine and website aimed at 11-14-year-olds – ‘4 You‘. The second, a website to support a television news production, UR-Central, aimed at “under-represented communities in Birmingham”. And the third (not yet finished), is a blog-based service around disaster-related news. The two that are now finished both had their strengths and weaknesses. UR-Central suffered, it appears, from the common problem of ‘production team not communicating with web person’. The resulting website is patchy, with some empty areas where ideas are suggested but not built. But there’s some Flash video, slideshows, a forum, and feedback opportunities. The team behind 4 You were much better organised. One member built a content management system, incorporated feedback forms, games, a live weather feed, and a messageboard; there were image galleries, with invites for users to submit content; they blogged during the ‘live’ week (some better than others); and they even produced podcasts. Particularly clever was the use of hyperlinks and the ‘title’ tag to explain concepts such as ‘Foreign secretary’ to a young audience. There are calls for readers to engage and contribute throughout, and promotion of the printed product. If you want to see more of these and other projects in journalism, design, photography, television, radio, PR and new media, the exhibition takes place in Birmingham at Gosta Green, Corporation Street from Thursday June 21 to Saturday June 23. The students have set up a Facebook page on the event and, it seems, a media exhibition website too. And what prompted me to write about all of this? Matt King, top class online journalist that he is, wrote on my Facebook wall to shame me into blogging about it. Clever man. 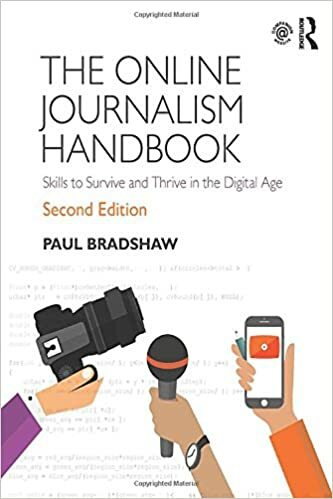 This entry was posted in online journalism and tagged comments, forums, interactivity, online journalism students, podcasts, web 2.0 on June 15, 2007 by Paul Bradshaw. The Lofi Podcast: Should newspapers bother with video journalism? It’s been the big trend of the last 12 months, with every newspaper rushing to slap video onto its website – with varying results. But given the stretch on resources, should newspapers be doing video at all? And why are they doing it so badly, so often? I took advantage of the latest Association for Journalism Education (AJE) conference (“Convergence, and how to teach it”) to discuss the issues with two people who’ve been training the new breed of video journalists – Andy Dickinson of the University of Central Lancashire and Andy Price of Teesside University. This entry was posted in newspapers, online journalism and tagged online video on June 13, 2007 by Paul Bradshaw. How easy is it for your readers to tip you off? Here’s a case study in making it easy for your readers to tip you off. Earlier today I was sent a link to a YouTube clip of former Bolton Wanderers and Villa midfielder Sasa Curcic, made up of clips from the Serbia, Bosnia and Herzegovina and Montenegro version of Celebrity Big Brother, in which he was competing. A quick Google later, and I discover that not only has he been competing – he actually won the thing this week. Spotting a quirky story when I see it, and being the nice journalist that I am, I decided to inform the Bolton News and the Birmingham Mail – but through their websites rather than through personal contacts. The difference in accessibility is interesting: the Bolton News make it easy for people to contact them, with a range of contacts on a ‘Contact Us’ page. The Birmingham Mail, on the other hand, is not so straightforward. Being part of the ‘icBirmingham’ site means you have to drill down to the Mail section, and then the less obvious ‘About Us’ page. So I email both sports editors, and see what happens. Within three hours, the Bolton News has a story up – ‘Former Wanderers star wins Big Brother‘. The Birmingham Mail… well, I wait with bated breath. So, two lessons: have a very obvious ‘contact us’ link on your news site – and secondly: when you report a tip-off story like this, credit the tipster at the end*, or send an email to let them know their tip was appreciated. If you’re looking to engender a sense of community, and build relations, you need to give something back to reinforce that behaviour. *UPDATE: Turns out I was credited – on another page. Thanks to Chris Sudlow for letting me know (see comment), and credit for being savvy enough to monitor incoming links. This entry was posted in online journalism and tagged citizen journalism, community, computer aided reporting on June 6, 2007 by Paul Bradshaw.